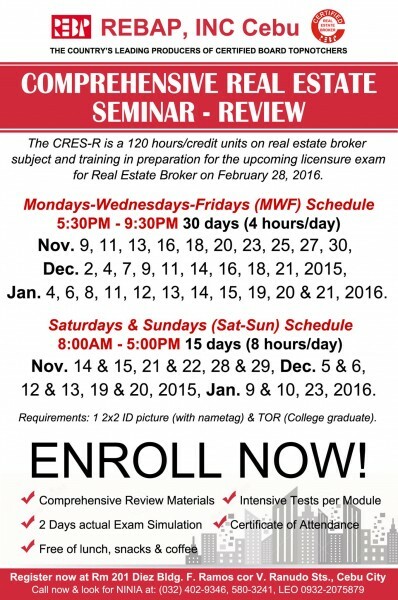 The Professional Regulatory Board of Real Estate Service (PRBRES) has released a Resolution dated October 2, 2015 which specifically states that this is the “last and final chance” for non-degree holders of the BS in Real Estate Management (BS REM), that is, both first-timers and repeaters, to take the real estate brokers’ exam on February 28, 2016. I was able to get a copy of the Resolution thanks to the FB page of Netscore. 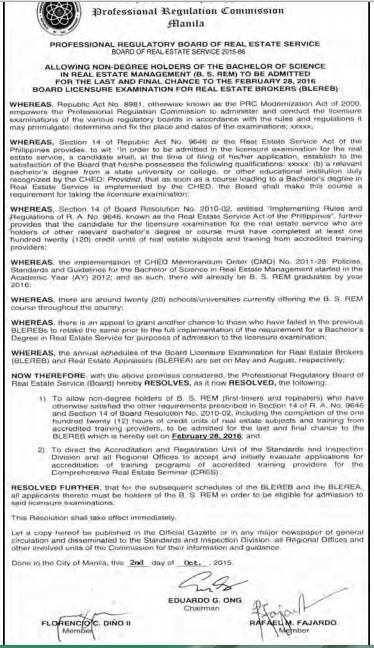 With this Resolution, all those who are interested in taking the real estate brokers’ exam without having to graduate with a BS REM degree, should take action NOW. What is the best review center? I get asked this question all the time. It’s quite understandable since we all want to increase our chances of passing, specially now that this coming exam is the last one which does not require a BS REM degree. Honestly, however, I always say that the best review center would depend on the circumstances of each reviewee. Success in the exam most definitely depends on the reviewee himself/herself and not on the review center (although of course, the review materials and lectures help). 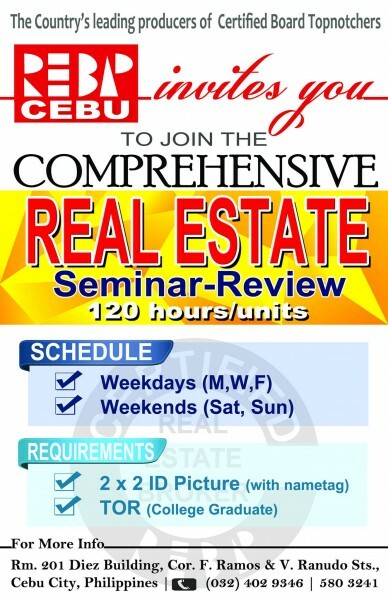 For practicality’s sake, just choose the review center that is nearest to you and whose schedule fits your own. If you have friends who have passed the exam and took their review classes at certain centers, you can ask them about their feedback also. You may also want to look at the passing rate and number of topnotchers coming from each review center. As for me, I always say to those who are curious that Jay and I are products of Eng. 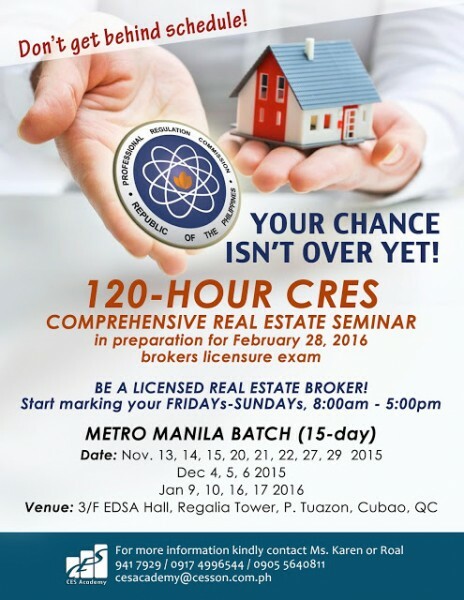 Enrico Cruz’s Urban Institute (and we passed the exam). When I took the real estate brokers’ exam, the location of the review was perfect for me since it was within walking distance from the office where I used to work, and the schedule was also good. Since Jay also passed the exam when he reviewed there a few years before, the decision on where to review was a no-brainer for me. An added bonus was the student population in Urban which was composed of fun individuals accomplished in their respective fields, and of course Engr. Cruz who is like a father to all of us. All in all, I would say I gained new friends and had a lot of fun so it was a very enriching experience for me. I’m sure those who have reviewed in other centers also have a lot of nice things to say about them. For REBAP-LMP in particular (because it is our home chapter), I can say that the brokers there are really nice and knowledgeable. I love them! I consider myself very lucky to be a member of this chapter. I believe a lot of the reviewees of REBAP-LMP in the previous exam passed and are now members of the chapter. So the guidance from senior brokers continues after the exam – from theory to practice. If you are from the LMP area this is a great bonus. 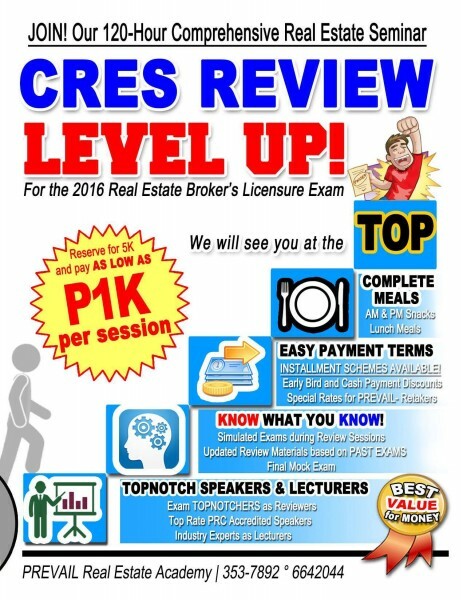 Those in Cebu can take their review at REBAP Cebu which, I noted, has produced several topnotchers. I have also had the privilege of meeting Mr. Sedfrey Lacsamana and Mr. Romy Lacsamana of PREVAIL and they are very nice people. The topnotcher (no. 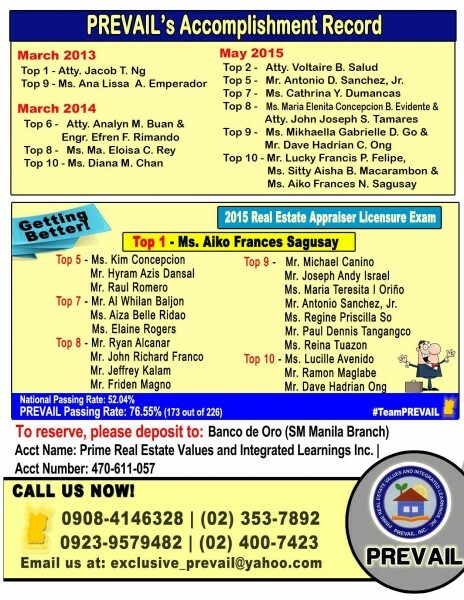 1) in the recent appraisers’ exam came from them, and so did many other topnotchers. I heard that their review materials are very good, and that their payment scheme is easy on the pocket. In other words, any accredited review center will do! Maybe visit the center and if you have a good feeling about it, go for it. 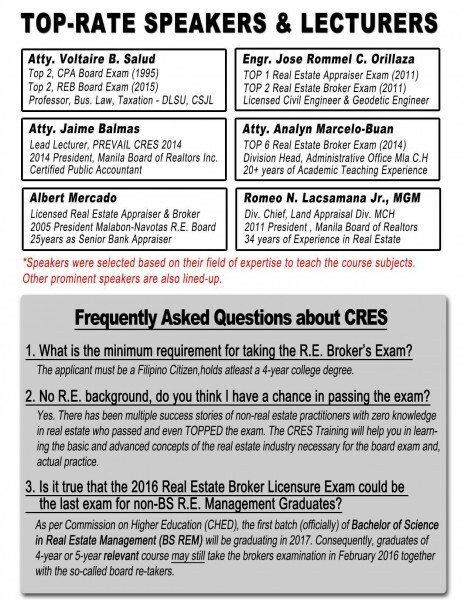 Based on the announcements I have seen in my newsfeed, the following review centers are conducting sessions for the said 2016 real estate brokers’ exam. I have not seen their accreditation papers (and thus cannot assure you of this), though these are the “known” providers. 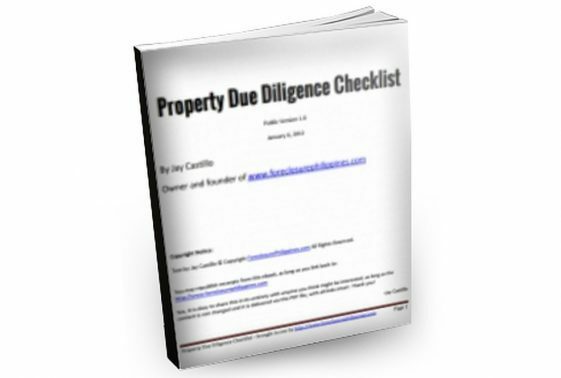 You may want to ask them for a copy or confirm with PRC. Also, if you know of other providers, please let us know in the comments so we can add them to this list. 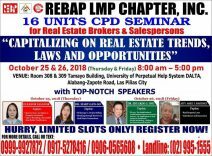 The Real Estate Brokers’ Association of the Philippines (REBAP)-Las Pinas, Muntinlupa, Paranaque (LMP) Chapter will be conducting a comprehensive seminar and training for the real estate licensure exam this 2016. 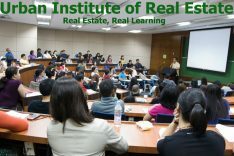 Fee: P18,000.00 (inclusive of food and materials); 10% discount on cash payment; Installment basis available. 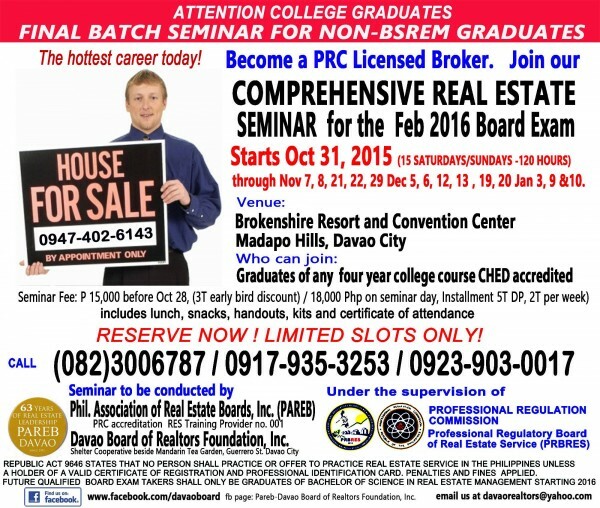 Only P3,000.00 to reserve! 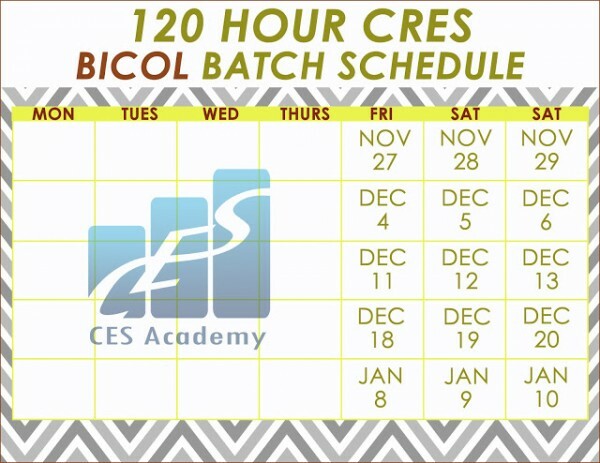 Batch 1 November 9, 11, 13, 16, 18, 20, 23, 25, 27, 30, December 2, 4, 7, 9, 11, 14, 16, 18, 21, 2015, January 4, 6, 8, 11, 12, 13, 14, 15, 19, 20 and 21, 2016. 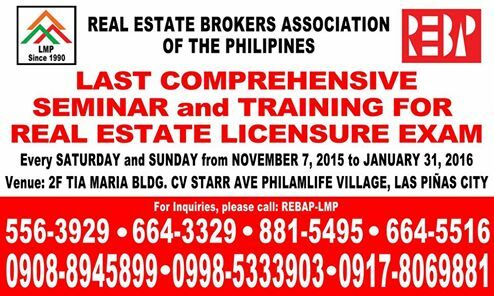 Batch 1 November 14 & 15, 21 & 22, 28 & 29, December 5 & 6, 12 & 13, 19 & 20, 2015, January 9 & 10, 23, 2016. I have posted the schedules in my previous post and my understanding is that the slots are almost filled up (to think they already opened so many sections!). Please kindly check with Urban directly if there are still slots available, and how much is the fee. Inclusive of AM-PM Snacks+Lunch, Free-flowing coffee, Seminar Kit and Review Materials. 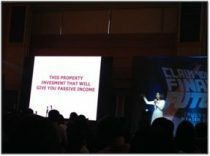 Prime Real Estate Values and Integrated Learnings Inc. 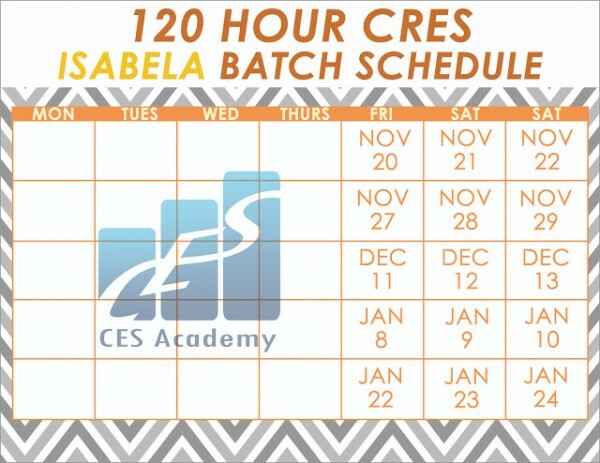 The CES Academy will be conducting review sessions in the following locations: (1) Cubao, Quezon City, (2) Santiago City, Isabela, and (3) Legazpi, Albay. 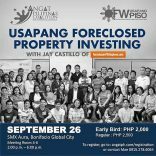 Venue: Ground Flr., People’s Hall, Albay Provincial Capitol Bldg. 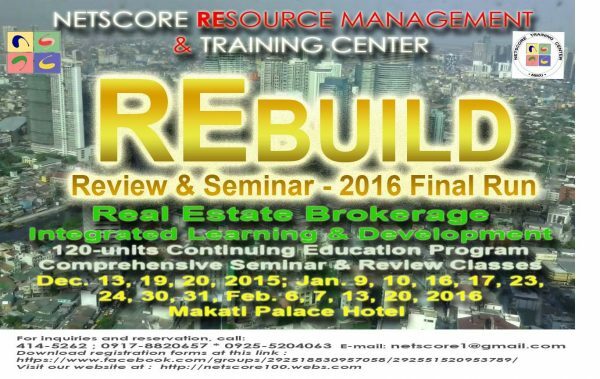 NETSCORE has announced its final offering of REBUILD (Real Estate Brokerage Integrated Learning & Development seminar), a 120-unit Comprehensive Development Program for prospective Real Estate Brokers planning to take the February 28, 2016 PRC Licensure Exam. 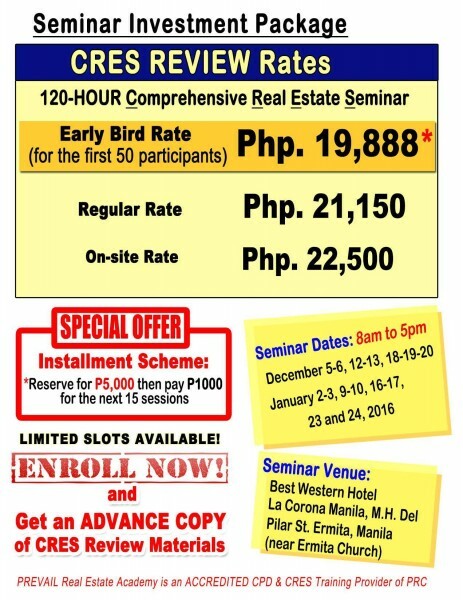 Fee: Regular Seminar Fee is P22,500 but if you pay and register during the Pre-registration period (until Dec. 7, 2015), you can avail of the early bird discounted rate of P19,950 ONLY for installments of just P18,000 for one-time cash payment!! Group discounts for three or more persons and installment plans are also available.